Picture this, you’re in your Toyota 86 cruising down the M1 until suddenly a wild S2k appears. What do you do? 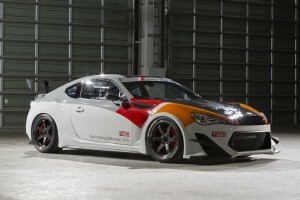 Well if this was a breakfast-time childrens anime, you’d instantly evolve into the Toyota 86 Modellista Concept that was unvieled in Tokyo’s Autosalon just yesterday. It sports all the lines of an advance and “futuristic” Toyota 86 without taking away the natural lines of its intended appeal. When they say its been fitted with an “aerodynamic” body kit. It actually is aerodynamic. If you’re unfamiliar with high-end bespoke concepts; they don’t mess around. It’s not a case of form over function, but rather function x form. 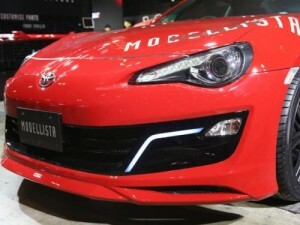 The Toyota 86 Modellista concept shows off new bumpers, side skirts, rear spoiler, black roof decal, a sharp new fender trim as well as a new antenna. Interior upgrades are kept to a minimal, sporting a two-tone leather trim with red accents on the door, dash and console. The only letdown is that there aren’t any performance enhancements, its all cosmetic. But you do get 18-inch WingDancer II racing wheels with Toyo T1 tyres handled by lowered springs. If you’re after performance modifcations, then look to the TRD Griffon and TOM’s N086V concepts; both of which are tuned for the track! The TRD focusses on mainly on weight reduction with no real improvements on power or torque. But check out the videos below and you’ll see just how much chassis reinforcement and race-spec add-ons do to overall performance and handling. 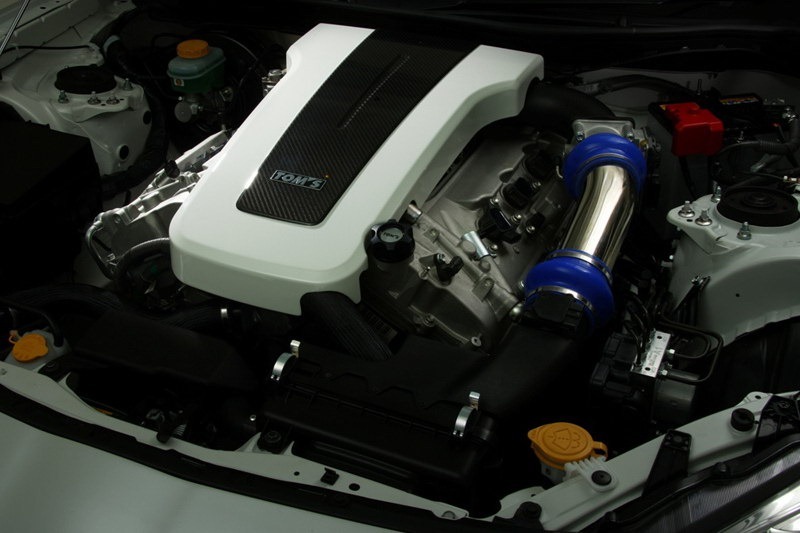 As for the TOM’s N086V, its powered by 2GR-FSE 3.5-liter V6 (seen on the Lexus IS and GS 350. The interior has been turned into a carbon-fibre showcase. So enough from us, feast your eyes on the three concepts. Tell us which of the three Toyota 86 concepts are your favourite below in the comments. Would you make any improvements? Perhaps you’re not feeling it? How about that V6 engine, eh?